Discussion in 'Free Browsing Cheats' started by yomitech, May 7, 2017. Hello everyone, it's been a long time since I last posted any free browsing tweak on this blog. Most of the network providers are really cracking down hard on all loop holes and this has really made it difficult to come up with any new cheat. No matter how hard the telco companies try, loop holes can't just sieze to exist. If you are an Airtel user then this new tweak is actually for you. 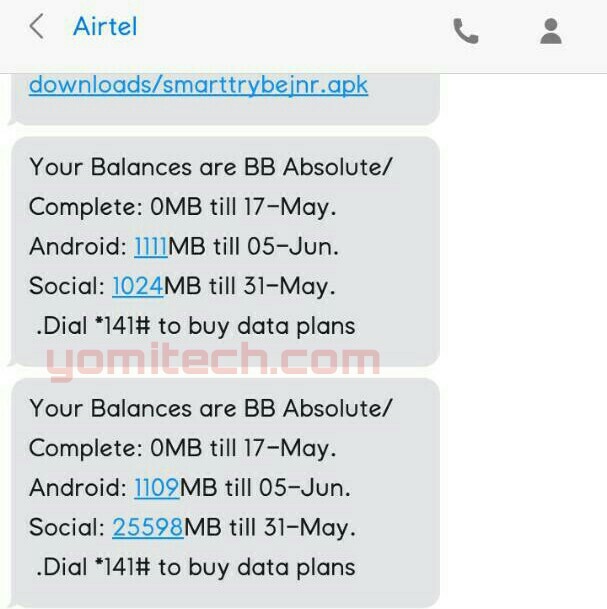 This is a simple trick on how to get free 1gb data from Airtel but the good thing is that it accumulates which means you can get as much as you want. => If successful then dial *688*1#. 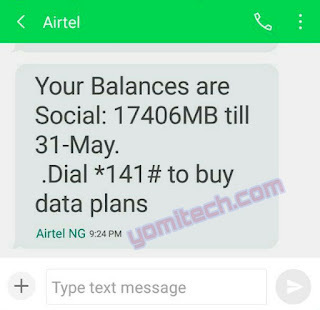 => That will immediately give you 1Gig data. 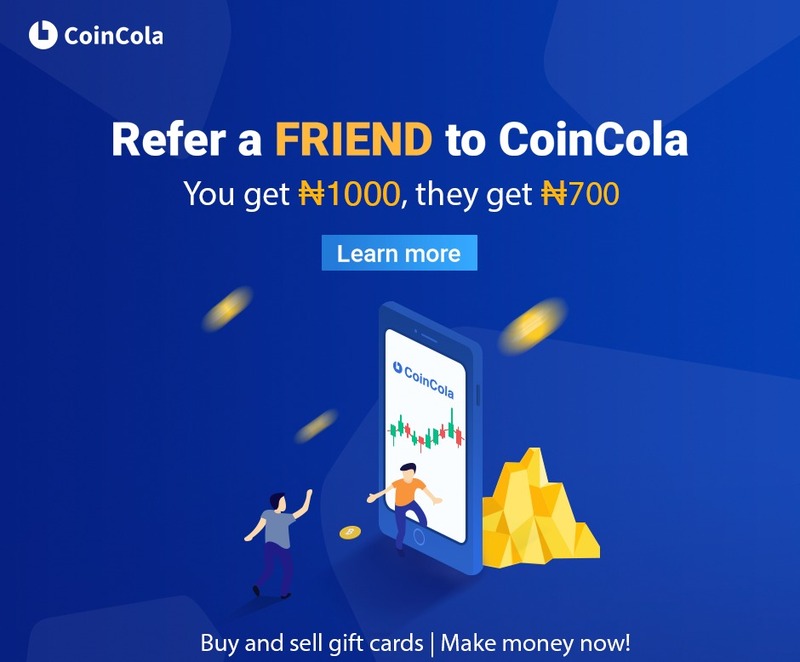 => You can keep on dialing the code to get more. 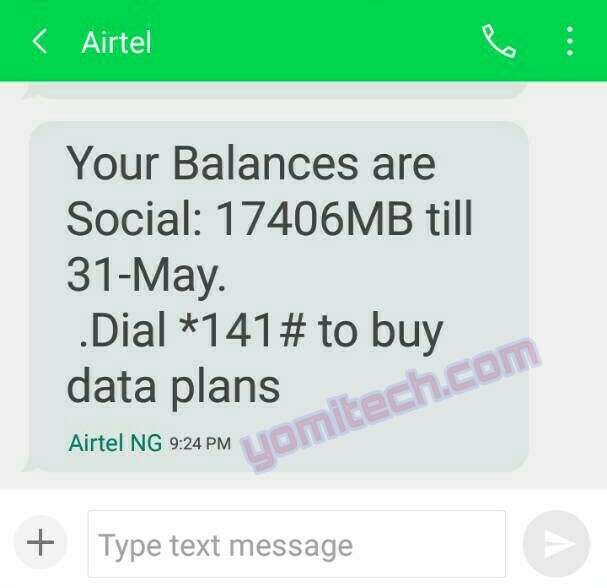 => To check the data balance, just dial *140#. Note: If it does not work for your SIM then just migrate to smart trybe by sending JOIN TO 1010. 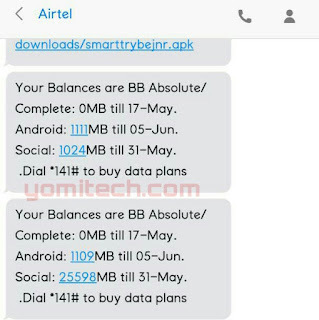 This is a social plan which means the data will work only on social apps like Facebook, WhatsApp, Instagram etc. If you want to browse or download with it then you have to use opera mini browser or better still, the opera mini handler. That's it guys, drop any question in the comment section below and also don't forget to kindly share this post. what have you got for Glo and Mtn users like me Mr. Yomi??? Just downloaded mp3 with my Opera mini......double click the download link until it shows the download pops up. NB: seems it does not download things of high mb. My downloaded mp3 was 7mb but i tried a mixed tape of 60 mb, it didn't work. Nice post yomitech. I dey blaze this tweak like craze. (1). Interested candidates are to follow the "Online Application" botton shown below. The Nigeria immigration recruitment portal (www.nisrecruitment.com.ng).